The African American Studies program prepares students with the comprehensive knowledge base, critical skills and social consciousness necessary to function as effective leaders in an increasingly globalized and diverse society. Our program is grounded in the decolonization and liberation projects of African Americans and their allies in the civil rights, gender, and sexual liberation movements of the 1960s that continue through the present in new forms that address new conditions. The aim of African American Studies is to support students in developing a critical consciousness and an understanding of social, political, cultural, and economic forces that have shaped the histories and current day realities of African Americans. Our studies are grounded in the principles of social justice and self-determination of oppressed communities. This program centralizes the knowledges, epistemologies and critical thinking produced by racially and sexually oppressed subjects, and we endeavor to examine the entangled intersectionality of racialized sexuality, gender, and class in complex socio- historical processes. Health care, social work, mental health, law, historical societies, education, non-profit organizations, journalism and community organizing. Research: Evaluate the development of the field of African American Studies, and utilize research methodologies and scholarship within the field to produce research papers. Analysis of issues: Effectively employ social science methodologies in the analysis of issues related to African Americans. Identify and describe the general history of African American people in the U.S. and the Diaspora (i.e., West Africa, Middle passage, North American slavery, Civil War, Reconstruction, Jim Crow Era, and Civil Rights Movement). Interested in majoring in African American Studies? Interested in teaching African American Studies at Laney College? 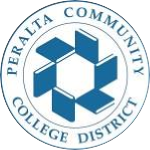 Applicants who do not have prior community college teaching experience are highly encouraged to first apply to the Peralta Faculty Diversity Internship Program. This program provides training on how to navigate and teach within the community college system.